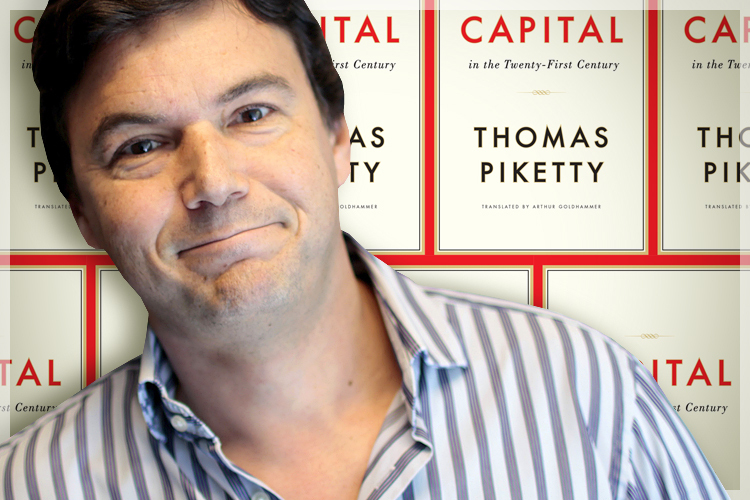 French economist Thomas Piketty has put growing income and wealth inequality center stage, publishing a well researched book full of data that pretty conclusively shows what many of us have been arguing for sometime: there is a growing gap between the rich and poor and this could be dangerous to democracy and modern society. I plan to read the book and will blog more on the details/arguments. For now, I offer only a general reflection about the subject matter and the importance of taking inequality seriously. His book isn’t a radical appeal to the masses. It is a lengthy academic tome with a target audience that includes economists, political scientists, and other scholars. Among this audience his argument is neither new nor earth shattering – economists and political scientists have been pointing out how the centralization of wealth has been increasing, creating a real threat to democracy and capitalism itself. However, perhaps because the public is waking up to this fact, his work has suddenly became a best seller and is perhaps one of the most important books of our era. Pointing out the dangers of out of control capitalism is not an argument for socialism; quite the contrary, thoughtful supporters of market capitalism should take it seriously and ask themselves: is the growing power and influence of the very rich a result of hard work and initiative, or are they able to rig the game in their favor? If the very wealthy are rigging the game, then they are undermining capitalism and democracy. Libertarian thinkers sometimes have an understanding of economics that is skin deep. They have learned the basics of how the market works, and thus have an understanding that, all things being equal, the market does better than anything else at communicating demand and using price to allocate goods and services. Government policy simply distorts that mechanism and thus creates inefficiencies. So, they conclude, government is the problem, less government is better. But that’s only if reality operates as pure market theory says it should, and if you take economics beyond the first year you know that is not the case. Markets are distorted by a myriad of factors: imperfect information, misinformation, inside deals, connections, the capacity to use wealth to influence others, and the utter lack of knowledge many have about the way the system operates. 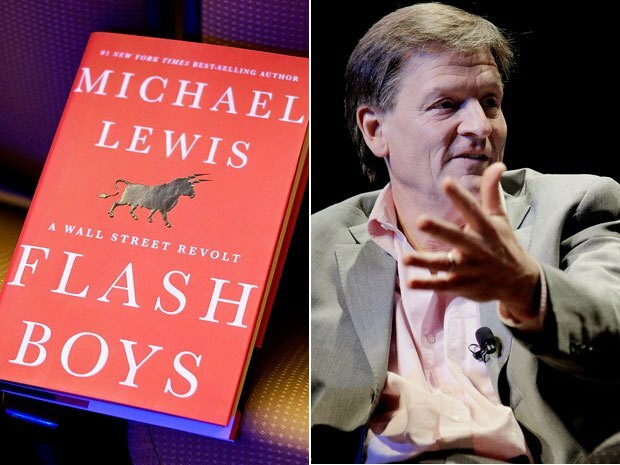 A good example is in Michael Lewis’ new book, Flash Boys. The rigging of the game there is rather minor – big banks can use lags in time to make trades to figure out what trade is coming and make an offer that will earn them a few extra pennies on every trade. No big deal; no 401K investor notices the slight variations. Yet a few pennies off of hundreds of millions of trades and it adds up! That’s just an example of what you can do if you are on the inside. Of course, the way the big banks took investors to the cleaners over derivative bonds during the housing bubble (and in fact caused the housing bubble) is a more dramatic example – described in Lewis’ earlier book The Big Short. Now one might say that this is nothing new. Throughout history the wealthy, elite class has always assumed they deserved privilege while the poor were looked down upon as being lower in character or worth. In the 19th century the British tried to make any form of social welfare painful and difficult so as to avoid anyone wanting to stay on it. Yet workers have defied that notion of the poor as lazy for centuries. After all, when in Britain millions of factory workers endured horrific conditions during the industrial revolution, they still worked. They put up with sustenance wages, filth, squalor, child labor 80 hour work weeks, and numerous work related deaths and injuries to keep earning. Compared to then, workers have it pretty good now. So does that mean inequality doesn’t matter? It does matter. Consider the two charts here. Above, the share of wealth that the top 0.1% have is shown, and it has doubled in the last thirty years to the point that they control a over a fifth of the country’s capital. Below, the graph shows the income of the top 10%. 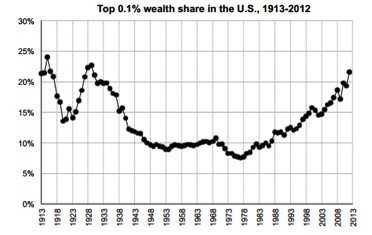 Again, the share going to the very wealthy has increased dramatically over the last 30 years, to levels from the early 20th Century. This matters for a number of reasons. First, such a distribution of wealth and income makes bubbles more likely. In theory, the very wealthy should be investing their money to create jobs for the poor, allowing that wealth to “trickle down.” In practice, when too much capital is centralized to the very few, bubbles become more likely as they are looking for “easy money” rather than investing in jobs. And when they do invest, overseas investment is common. That money does not go into improving our economy. It would be more efficient to tax it and use it to build infrastructure and support the economy. The key to long term growth is demand from the middle class. Money earned by the middle class does not usually flow into bubbles; rather, it creates demand for goods and services that require domestic jobs. When a higher proportion of the wealth flows to average folk, the economy grows. Moreover, social mobility in the US as become very low – where you were born has become the best predictor of where you will end up. That is contrary to the American dream – and the value that individual initiative and effort matter. The best way to assure that people can achieve all they are capable of is to assure access to education, health care, and the things needed to overcome obstacles caused by poverty or lack of status. That means government programs to promote equal opportunity are good for capitalism and freedom; by expanding the capacity of people to achieve all they can we avoid becoming an oligarchy. 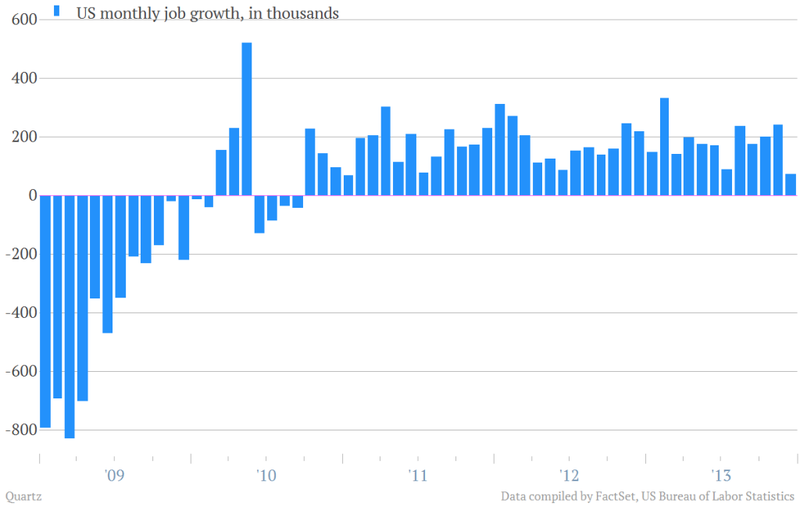 If this trend is not reversed, the economy will stagnate and America’s best days will be behind us. The good news is that it appears the anti-tax anti-government sentiment that has been the norm for the last 35 years is starting to fade. Despite the fights over Obamacare, it was passed and implemented; public opinion is shifting. For now it’s important that the conversation about inequality continue – the future of market capitalism depends upon avoiding or reversing today’s inertia to oligarchy. Secretary Kerry’s patient diplomacy continues to win little victories for the Obama Administration. 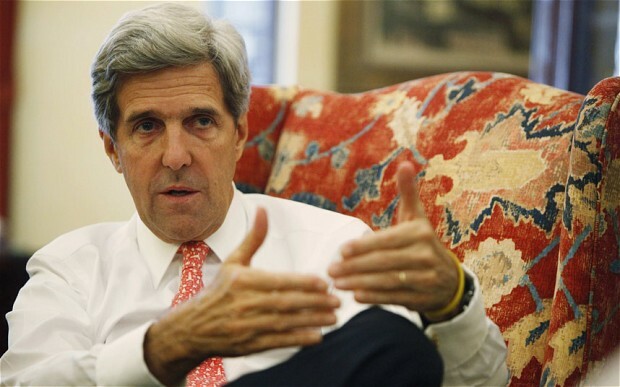 Though he lacks the tough veneer of his predecessor, Kerry is proving to be an adept and successful diplomat. The IAEA (International Atomic Energy Agency) claims Iran is ahead of schedule in following the agreement reached last year and took affect on January 20th. The dilution of enriched uranium means that Iran probably does not have enough to make even one nuclear weapon, defusing what had been a tense situation. Iran’s President Hassan Rouhani says its in the interest of Iran to assure the world that Iran does not want to have nuclear weapons. If the process stays on track sanctions will be lifted and Iran will move towards fully rejoining the international community. This is a success for the Obama Administration. The problem of Iran’s nuclear program has been an issue for over a decade, with the potential of doing immense harm to the region and the world economy. 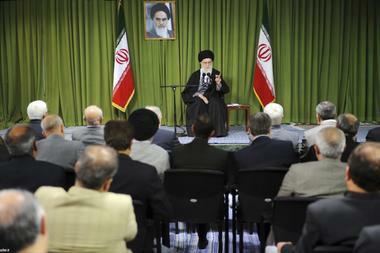 An attack on Iran by the US or Israel could lead to disastrous consequences. The Pentagon was not happy about how it war gamed out, and there was fear Israel might go it alone. Yet that was then – when Iran was part of President Bush’s “axis of evil,” and the US war in Iraq created intense emotions and anti-Americanism. Now anti-Americanism has waned and the emotion of the last decade has turned into realization that the Iranian economy is the real problem. There is no benefit for Iran in maintaining a hard line, and the last election and recent demonstrations show the Guardian Council (the body of clerics that have the most power in Iran) that the public is unhappy. They need to put the nuclear issue behind them and focus on the economy. There could still be problems and missteps along the way, but for the first time in a long time concern over Iran’s nuclear program is fading. 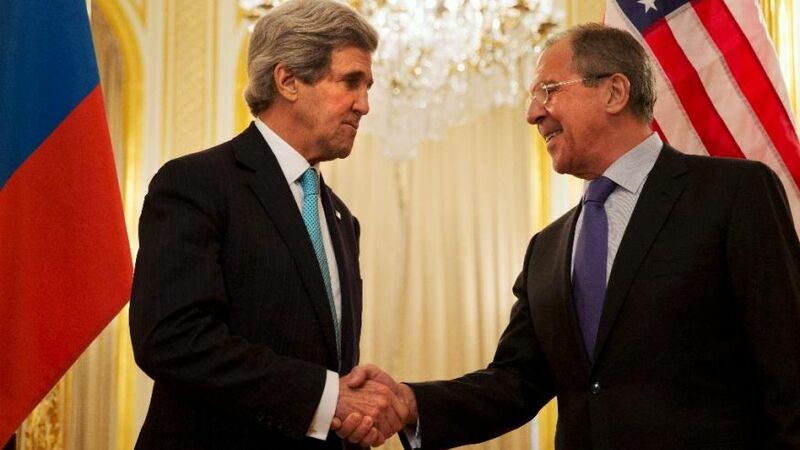 Patient diplomacy by Obama and Secretary Kerry is paying off. The other place diplomacy seems to be working is in Ukraine – though this is still a very tense and uncertain situation. Both have agreed in principle to eschew violence. Ukraine will give full amnesty to all protesters except those who have committed capital offenses, while Russia agrees not to invade or use violence. More details aren’t yet known, but while it is meant to de-escalate rather than solve the problem, it’s an important step in the right direction. Those who say Putin wants to recreate a resurgent Russia are overstating the case. Putin was humiliated by the defeat of Yanukovych earlier this year and it completely unsettled his effort to bring Ukraine closer to Russia. Putin genuinely believes the new government is illegal, radical and illegitimate. If an anti-American protest overthrew a pro-American government in Mexico, we might feel the same way. No doubt Putin wants to find a way to allow eastern Ukraine to, if not become part of Russia, at least have more autonomy from Kiev to pursue closer relations with Russia. That isn’t necessarily a bad idea; in a divided country, sometimes de-centralized power works best. But Putin is not stupid. He knows that in an era of globalization Russia cannot be isolated from the West – that kind of isolation is what caused the collapse of the Soviet Union. His challenge is to find a way out of this that both maintains Russia’s connections to the West (particularly the EU) and prevents an unacceptable outcome in Ukraine. Today’s de-escalation agreement could allow a transition to talks on constitutional reform in Ukraine to keep the country unified, but allow autonomy on some economic fronts. That may seem like a victory for Russia – and in the short term it would be. But ultimately if the western part of Ukraine develops faster thanks to their EU ties, provinces in the east would have the power to look west. They won’t be tied to Russia. The US and EU has to use their clout to get Kiev to recognize that they won’t achieve a perfect outcome – Russian power and influence is real; compromise is necessary. They then have to work out an arrangement with Russia that avoids any military action, and will allow for a peaceful resolution of the tumult in the east. Even if the short term result allows the east to drift closer to Russia, as long as Ukraine is one country and the regions in the east remain autonomous from Russia, it’s an acceptable result. Those who say Putin and Russia are “winning” and the US has lost its foreign policy edge are in the land of the absurd. Not that long ago Russia controlled not only all of Ukraine, but the 15 Soviet Republics and a bunch of east European states. That day is long gone. Russia’s position vis-a-vis the US is severely weakened, and the best Russia can hope for is a little more regional influence. For those who like to think about power and conflict, messy diplomacy may seem dissatisfying. Better to bomb the Iranians to be sure, or risk war to stop Putin from Russian expansion! But in reality both Russia and Iran have very strong motives to make sure they are connected to the global economy. In the 21st Century, international isolation is defeat. That’s why patient diplomacy can work. This my first post on “campaign 2014,’ analyzing the races and following the election cycle. One thing is certain from the start – 2014 is a lot different than 2010. Some things are similar. Right now things are looking good for Republicans to make gains in the House and perhaps win the Senate. It is a midterm election, which usually brings a more conservative demographic to the polls, something also good for the GOP. President Obama’s job approval rating is below 50%, which usually means that his party is in trouble in any midterm. But there the similarities end. The differences are important and offer some optimism about what has been a dysfunctional political system. 1. The tea party is a spent force. 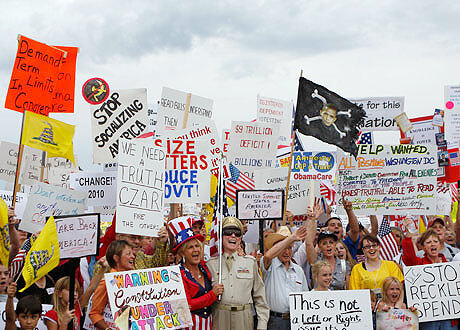 In 2010 the tea party was surging! Anger over the passage of Obamacare was palpable, and rallies were being held across the country for a new movement to “take back America.” Entertainer Glenn Beck was at the height of his popularity, calling for a movement to fundamentally transform the US to more conservative/traditional values. Now Beck says he’s sick of politics and wants to produce movies. Tea party approval is down at around 20%. More importantly, the anger, rage, and rallies have been replaced by typical political banter. In 2010 and 2012 the tea party actually hurt the GOP by producing candidates that could not win. 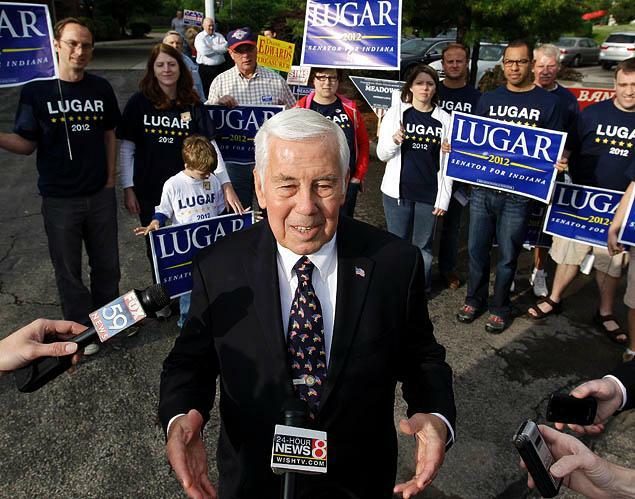 Sharon Angle, Todd Akin, Richard Mourdock, Christine O’Donnell and Ken Buck all lost races a moderate Republican would likely have won. That would have put the Senate at 50-50 today! The good news for the Republicans is that tea party influence is waning, and it looks like strong establishment candidates have been recruited. The bad news is that they’ll lose some of the passion the stronger tea party brought to 2010; it isn’t likely to be any kind of massive wave election. But they now have a real shot at the Senate. In April 2010 President Obama’s job approval was at about 50%. By election time it was down to 44%. In general, continued anger at an economy that had not started a real recovery, tea party passion, and a general sense that things were getting worse rather than better caused a backlash against Obama and the Democrats. Now the economy is poised to increase the rate of job growth in the summer, and President Obama’s approval is recovering from its lows with the rollout problems of Obamacare enrollment. Obama’s approval went as low as 40%, but has slowly recovered. As the story line becomes more positive about Obamacare, the Republican hope that the issue will drive the election is fading. The trend can’t be called good for the Democrats, but unlike 2010 it doesn’t suggest any sort of wave. It will be a normal election cycle. In retrospect, 2010’s wave for the GOP was inevitable. A poor economy, a President with low approval ratings, anger and passion among the opposition in a midterm election which always sees a higher proportion of Republicans vote was a recipe for a certain GOP win. This year, events can still drive the election. Strong summer economic growth and more good Obamacare news might boost Democratic chances. A White House scandal could harm Democrats, as could new bad news about Obamacare. So as of April, what we don’t know about the 2014 election cycle far outweighs what we do know. Will the Senate Go GOP? The Democrats hold a 55-45 majority. That means the Republicans have to pick up six seats. That is a tall order. 21 Democratic and 15 Republican seats are up for election (that’s more than 33 due to some special elections), which means that the Republicans have real opportunities. In Montana, South Dakota and West Virginia open seats (or in the case of Montana, recently filled by someone appointed by the Governor) are seen as almost certain to shift to the Republicans as these are strong red states. Two other open seats, Iowa and Georgia, will probably stay Democratic and Republican respectively. That would put the Republicans at 48 states, three short of a majority. So far, only one Republican incumbent looks to be in real danger, that is ironically Mitch McConnell. Five Democratic Senators are in trouble, and one Democratic open seat (Michigan) has no clear favorite. So among those seven races, Republicans have to win four seats to gain a majority. That’s do-able, but not easy, especially in a normal election cycle. 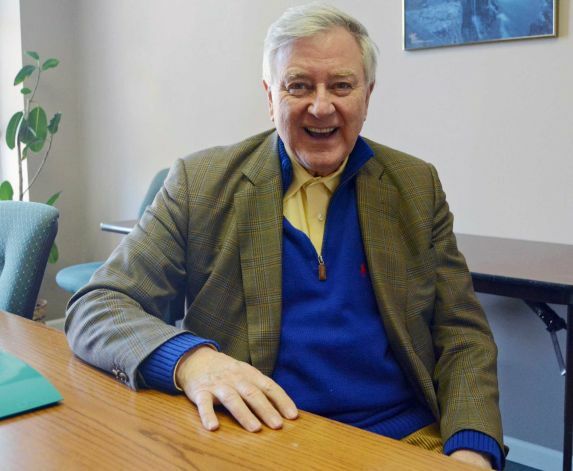 Former GOP Senator Larry Pressler (1979-97) is running as an independent in South Dakota, claiming to be a “passionate centrist.” Could his candidacy make a difference? First proviso: In 2012 North Dakota was considered certain Republican for most of the year until Democrat Heidi Heitkamp ran a surprisingly strong campaign and squeaked out a victory. So nothing is certain. Second proviso: There may be surprises. Here in Maine Susan Collins is considered by most to be a very safe Republican hold. However, she’s receiving strong opposition from Democrat Sheena Bellows, who has shown surprising fundraising prowess and organizing skills. In Maine there is a lot of emotion against the incumbent Governor, meaning there is likely to be strong Democratic turnout. It’s not likely (Collins had 61% in 2008), but is possible, that Bellows could be a real threat to Collins. These are the kinds of “what ifs” that could benefit either party. 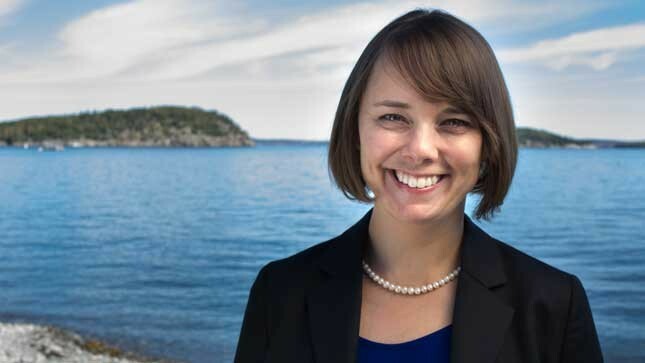 One can’t discount surprises, like Democrat Sheena Bellows running a surprisingly strong campaign in Maine – a blue state – against Susan Collins. The polling now shows Democrats Kay Hagan (NC), Mary Landrieu (LA) and Mark Pryor (AR) in the most trouble – but all are very close. Mitch McConnell looks to be in trouble in Kentucky. Democrats Begich (AK) and Udall (CO) have close races, but look better positioned. Here’s the problem for the Republicans: Incumbents do have a tendency to pull out close elections. Mary Landrieu was endangered back in 2008 but ended up with a comfortable 7 point victory. To be sure, that was a Presidential election year and she benefited from the higher turnout, but it’s always dangerous to underestimate an incumbent. So, given that this is a ‘normal election cycle’ I suspect that the Republicans will fall short of gaining a majority – though they are likely to gain seats. A 50-50 Senate is a real possibility. Joe Biden, as President of the Senate (an official role of the Vice President) would have the deciding vote, but if the Democrats held on to that slim of a majority they’d be susceptible to losing it should a member die or resign. 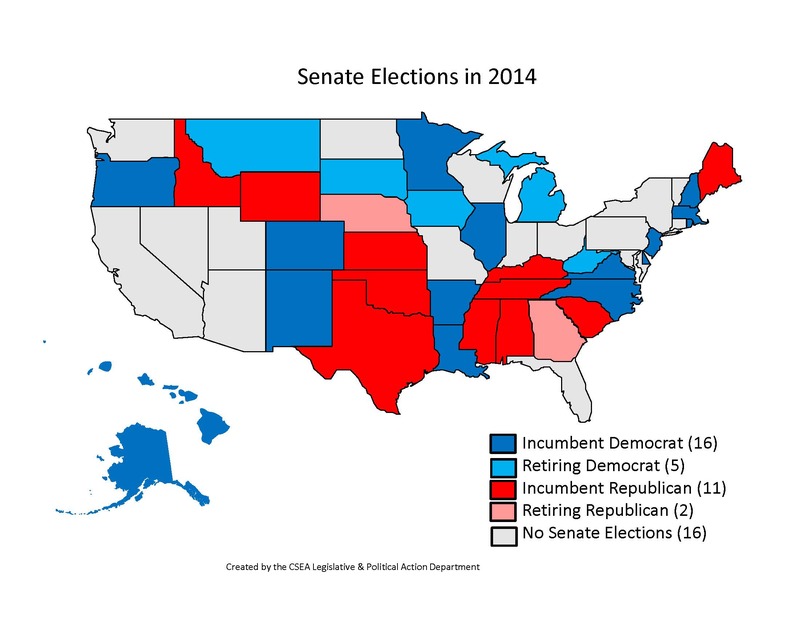 At this point, though, the battle for the Senate looks to be the biggest 2014 election story. Rwanda as a Case for Non-Intervention? 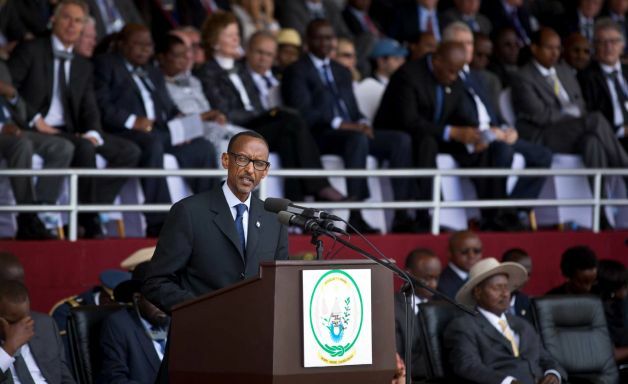 Paul Kagame thinks so – or at least he made a case for it Monday as Rwanda marked twenty years since the outbreak of perhaps the most horrific genocide of history. 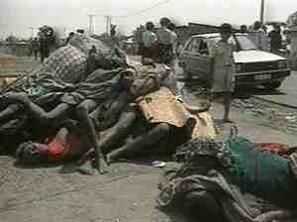 Within 100 days over 800,000 were killed, nearly three quarters of the ethnic Tutsi population in Rwanda. Rwanda had been colonized the Belgians who took a minor social distinction – whether someone was Hutu or Tutsi – and turned it into a way to privilege some over others. Hutus and Tutsis had intermarried and got along peacefully for centuries. Now the Belgians claimed the Tutsis were “more evolved” and thus were entrusted with positions of privilege and power. They helped run the colony for the Belgians, and soon looked down at the “lower” Hutus. It wasn’t just Belgian racism, but also a rather smart way to keep a colony under control. The Tutsis were the minority, and thus had to rely on the Belgians for protection and support. Alas, once democracy and independence came, the Hutu majority quickly grabbed all power and took revenge on the Tutsis for years of mistreatment. This led to protected conflict for over three decades before Hutu extremists decided the final solution would be to simply eliminate all Tutsis from Rwanda. They did not fear western intervention. After all, a year earlier the US left Somalia after 18 army Rangers were killed when their black-hawk helicopter went done. As their bodies were dragged through the streets Americans were furious that US military personnel were even over there. In any event, Rwanda had a seat on the Security Council at the time, and it could gauge whether or not the UN had the stomach to intervene. It almost worked. The UN had 3500 troops there to implement the Arusha accords designed to create a power sharing agreement between Hutus and Tutsis, but when the genocide began all but about 400 of those troops were pulled out. The US and UK wanted a complete withdrawal – UN blue helmet forces are not supposed to remain if there is no more peace to keep – but the UN mission commander General Romeo Dallaire refused to leave, since that would mean certain death to over 30,000 people under UN protection. The story line usually goes like this: Dallaire begged for UN intervention to save Rwanda, the UN refused, and thus his small force with virtually no supplies could only protect a small portion of Tutsis. Salvation came when General Paul Kagame’s RPF – Rwandan Patriotic Front, made up mostly of Tutsis who had fled Rwanda after independence – invaded from Uganda and defeated the Rwandan military – the RPG. This shameful acceptance of the fastest genocide in history – one undertaken with guns and machetes at close range by large groups of Hutus, especially teens – was justified by saying the Rwandan government had no control and the Interhamwe militia was doing the damage. In reality, the military and Interhamwe worked together. France in fact supported and even supplied the Rwandan military during the three month genocide. Rwanda was supposed to be a failed state. Watching the news today, it is not hard to imagine how we could have ended up. We could have become a permanent U.N. protectorate, with little hope of ever recovering our nationhood. We could have allowed the country to be physically divided, with groups deemed incompatible assigned to different corners. We could have been engulfed in a never-ending civil war with endless streams of refugees and our children sick and uneducated. But we did not end up like that. What prevented these alternative scenarios was the choices of the people of Rwanda. It appears that Kagame is saying that if the UN had intervened, it could now be a failed state – that it would have been impossible to create the kind of future Rwandans now consider possible – one where ethnicity no longer is supposed to matter, and the Rwandans are one people. To be sure, Kagame’s government talks a better game than it walks. Ethnic Tutsis dominate, there are human rights abuses, corruption, and no viable opposition. Some consider Kagame a dictator, and it’s hard to argue otherwise. Yet given the conditions Rwanda found itself in twenty years ago, on going Hutu extremism based in the Congo, and the need to create a foundation for a long term peace, it would be wrong to judge too harshly. After all, too quick a move to total democracy can be a disaster if a country is not ready. More intriguing is the possibility that while the motives were wrong, UN inaction actually was better for Rwanda. A quick brutal climax to a century of ethnic hostility and violence might be what Rwanda needed to create conditions where they could move beyond the damage done by the European colonizers. Yes 800,000 died, but if the UN had stopped the genocide early, how many would be continually dying in on going ethnic strife? I don’t know. To me Rwanda has always been a classic case proving that sometimes military intervention is justifiable – that humanity must agree to say “never again” to genocide, and act forcefully to stop it. I still believe that – but Kagame’s remarks get me to wonder if maybe western intervention does more harm than good in places where western colonialism already destroyed existing peaceful political cultures, creating conflicts where none had existed. It’s worth thinking about. The right wing has been obsessed with doing all they can to vilify and attack Obama. But if you pay attention these attacks are either broad and empty (personal attacks on him, his experience or motives) or simply wrong. The right wing was all over Obama because Putin attacked Crimea, showing real ignorance about Russian interest and world affairs, for example. My goal here is not to argue against the babble on talk radio or the right wing blogosphere, but point out that President Obama is amassing a record that all but assures that his Presidency will be remembered as not only a success, but one of the greatest. The reasons full into four categories: 1) Policy success, including fundamental changes in the nature of public policy; 2) A successful foreign policy, shifting US interests to adjust to new political realities while extricating the US from two painful wars; 3) Economic success, preserving through the deepest economic crisis since the great depression; and 4) Personal and cultural factors – who he is, and the shifting culture of the times. Domestic Policy: The White House was almost giddy as enrollments in Obamacare reached over 7 million, a number nobody thought they’d reach after the problems with the website roll out last year. It is almost inconceivable that this law will be repealed – the cost and disruption of doing so would be immense, and it would create a massive health care crisis. There will be reforms; once the GOP realizes the law is here to stay they’ll work on fixing problems in it rather than waging ideological jihad. But President Obama did what Nixon, Carter, and Clinton all failed to do: achieve a major health care overall to expand coverage to tens of millions (ultimately) uninsured, and slow the rate of health care cost increases. Obama has amassed a series of other major policy victories that often get neglected, but will shape the nature of US politics in the 21st Century. He turned around the auto industry which stood on the brink of collapse in 2009. He got an economic stimulus package passed that started creating jobs, including for the first time in decades an increase in manufacturing jobs. Wall Street reform is major improvement on what we had before, and likely will protect the US from the kind of Wall Street induced crisis like that of 2008. Relatedly, the recapitalization of banks, while controversial, avoided an entire collapse of the credit market in the US and allowed for a quicker recovery than I expected – I thought in 2008 we were looking at a decade before the economy would come back. He repealed “Don’t Ask Don’t Tell,” and his justice department gave considerable support to the growing move to legalize gay marriage by recognizing such marriages at the federal level, being on the right side of an irreversible cultural shift. He also worked to get the banks out of the student loan business, increase Pell grants, and make student loans easier and more accessible at a time when education is becoming more expensive. Also under Obama’s stewardship the US became the world’s leading producer of natural gas and oil for the first time since the early 70s. 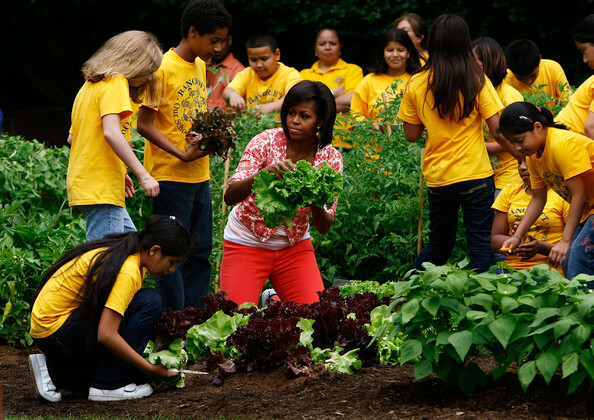 Other policies involve significant education reform, toughening fuel efficiency standards, major credit card reform, improved veterans benefits, food safety, an emphasis on nutrition that may be turning around the obesity epidemic among the youth, federal regulation of tobacco, expanded national park service, massive investment in green technology (which will pay benefits long after Obama leaves office), new sentencing guidelines, and more. 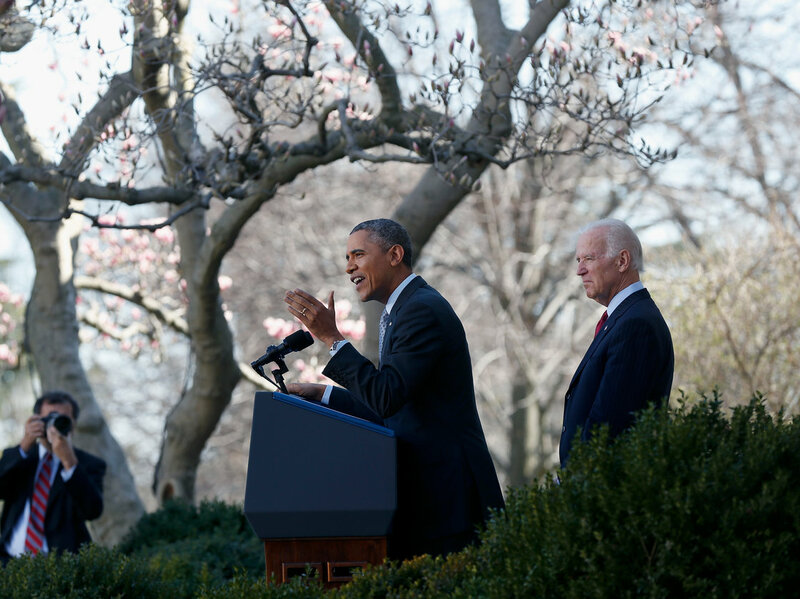 Obama has reshaped the policy landscape. That’s one reason the right is so beside itself hating him: he’s an effective leader that has altered the political environment and put the US on a fundamentally different path than had been the case six years ago. Foreign Policy. The US has undertaken a quiet but very successful shift in foreign policy, including military downsizing, the Asian pivot, support for nascent democratic movements in the Mideast, and an effective effort to collaborate on international financial regulations. He ended the war in Iraq and is ending US involvement in Afghanistan, reoriented US missile defense, helped topple Gaddafi in Libya, and supported South Sudan independence. Osama Bin Laden was eliminated, and al qaeda is a shadow of what it was in 2008. Due to unprecedented cooperation between countries (even ones not exactly friendly with each other) on intelligence about terrorism, terrorism has gone from being a threat feared by Americans daily to just a nuisance. For me, a scholar of international relations, Obama’s foreign policy has been a remarkable success in that he turned around policy content and America’s image in a way many Americans don’t yet grasp. Perhaps most importantly by ending torture policies and having two very capable Secretaries of State – Hillary Clinton and John Kerry – US prestige and clout is at its highest point since the end of the Cold War. President Obama is respected internationally, and has shown himself capable of engineering significant breakthroughs with Iran and – if reports are right – soon in the Israeli/Palestinian conflict. 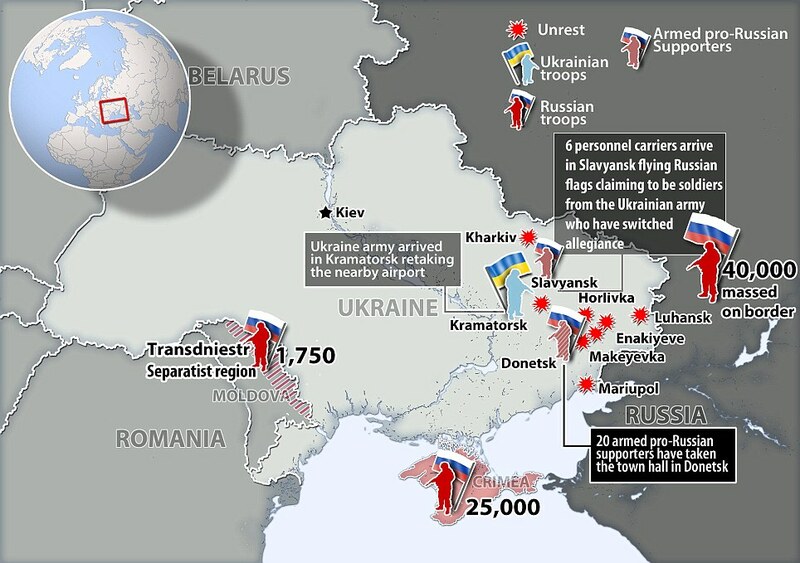 When people claim that Putin’s taking the Crimea is a failure of Obama, they are grasping at straws. That is, as I noted, a sign of Putin’s weakness and desperation. 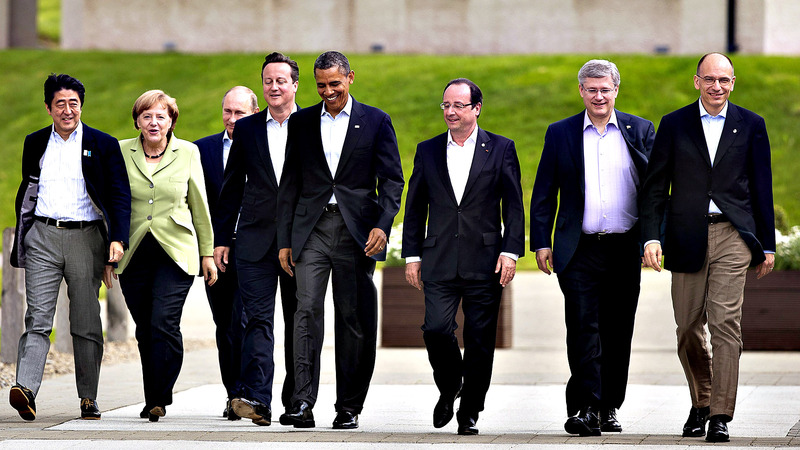 Obama has reinvigorated US international leadership. Economic success. When President Obama took office, the US was bleeding jobs, and the budget was out of control. Now the deficit is far lower than anyone predicted (federal spending has grown much more slowly than during the Bush Administration), and more jobs have been created than during the entire Bush Administration when the US was experiencing a bubble economy. The economy looks set to take off with increased job creation this summer, meaning that the book ends of Obama’s Presidency will be an inherited economic crisis of immense proportions at the start, and a growing and revived economy by the end. Finally, when the GOP tried to hold the US economy hostage on the debt ceiling, Obama starred them down, refused to bend, and ultimately the GOP was forced into a humiliating retreat, being blamed for a government shut down, a downgrade in the US credit rating, and playing Russian roulette with US jobs. That was an example of the successful leadership that defines Obama’s stewardship of the economy. Personal/cultural factors: Although the right has tried to find one, Obama has had a clean and scandal-free Presidency. He has shown himself to be a strong personal leader, using speeches, visits, and his own influence to guide policy. 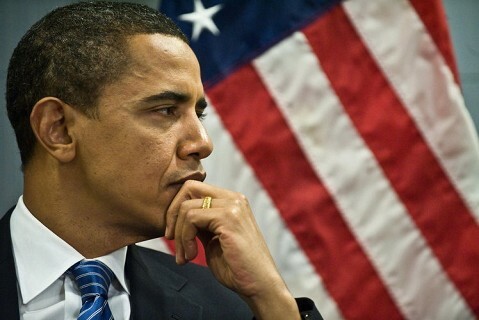 He is, of course, the first black President, and reflects an America that is more cosmopolitan, tolerant, and diverse. Just 20 years ago it would have been inconceivable that a black man named Barack Hussein Obama could win the Presidency. The so-called Tea Party in the US, made up of mostly older white folk (my demographic), reflects shock at the scope of this change. They believe they are losing America to some strange force which Obama – the black President with the funny name maybe born in Kenya – personifies. He’s not “one of us,” he went to a radical church, he travels, he’s well educated, he’s not a good old boy like “W”. In that, Obama is indeed symbolic the emerging culture shift. The process is just beginning, and Obama is destined to be associated with these changes. He took office as the old order collapsed in an economic crisis and failed wars; he’ll leave office with the country revived and heading down a different path. He symbolizes a pivot to a new direction for the 21st Century. Just as most people now forget the attacks on Reagan by the left, or the vicious attacks on Clinton by the right – the two are both remembered fondly by most Americans – the attacks on Obama will fade from the collective memory. Within ten or twenty years it’ll be clear that his Presidency was not only successful, but ranks alongside America’s greatest Presidents.